One of my favorite TV shows from the 90s is Living Single. Kadijah—one of the main characters—was suffering from depression and was urged to see a psychiatrist. She was reluctant at first but in a really bad wig and dark sunglasses goes to see the doctor. She tells the doctor that black people don’t go to therapy…all she needs is to go to church and get a little Jesus and she’d be alright. This isn’t too far from the truth. In many churches and communities, mental illness is still very much misunderstood and very taboo. Especially in a culture where the women are supposed to be strong. We’re supposed to carry heavy loads, not ask for help and prove to the world that we’re capable, independent beings. Unfortunately, that line of thinking is doing much harm by the way of mental breakdowns, poor physical health and strained relationships. That’s why I’m grateful for Jamesina Greene and Kandice Ewing. These two women, self-professed lovers of Jesus and faithful church members share their stories of having and overcoming depression and mental illness. Jamesina also writes on the subject extensively on her Facebook page and has been interviewed on numerous occasions on the subject. Her desire is for the church to deal openly and lovingly with those battling depression and mental illness so the stigma can be removed. That way, people in the church can get the help they need without fear of being ridiculed or ostracized. To read Jamesina’s story, click here to purchase her book online. 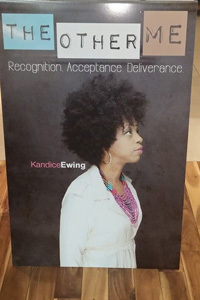 Kandice Ewing is a pastor’s wife, mother, and business woman who battled depression as a young woman. She shares her story in her book called, The Other Me. On her site, Kandice shares that her heart’s passion is to help women living with mental illness as well as women who are living under the guilt, shame and anger of having had an abortion(s). She proudly declares that she is a mental illness survivor who has lived with depression and obsessive compulsive disorder (OCD) all of her adult life. But it was through MUCH prayer, fasting, counseling, natural supplements and physical activity, she overcame the “shackles” of mental illness and wants to help others who are drowning in the ocean of despair. Click here for online resources. Be well…we’re rooting for you. 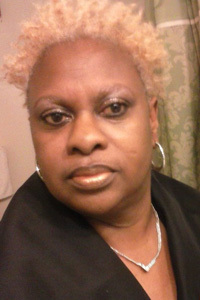 Oh and be sure to read our contributor LaTara’s story. She overcame depression too. This is so REAL and TRUE about mental depression in the church as well as in the world. But we have a higher power to be able to overcome our weaknesses and strengthen us in our battles. Agreed. We want to make sure that women get the help they need and sometimes that means medications along with our strength and help from above. We don’t women to be shamed because they need treatment. I say all the time, you treat mental illness as you would hypertension or diabetes. Thank you for sharing your thoughts with us Hope!